Come and rest in our Transylvanian nest, Sibius only boutique-style hostel and every single day you can enjoy our organic breakfast for no cost. A home with character, very nice for staying. Also really quite (no street noise) so I had a excellent sleep. Completely situated between Train station and historical centre, on the edge of it. The environment is extremely nice. They have not only a nice cafe bar furniched with with nice anthiques. THe inner courtyard is extremely lovely and best for a drink and getting to know people. One of the nicest hostels I have ever stayed in. This is not just a spot to sleep, but a very nice spot to stay. . liked the friendliness, the nice backyard, the cat and the brillant coffee! Very near to each the train station and old town. The owners are really helpful looking up bus numbers for when I wanted to get to th Astra museum. Good location in city center, warm and friendly staff, comfortable atmosphere, traditional aesthetics and free breakfast. The stay was great! Extremely warm and friendly and helpful staff. The employees is very nice and we got to know lots of people. The shared kitchen is a amazing location to hang out together and have a beer or cook something. Friendly and multilingual staff and extremely nice atmosphere! The couple running the hostel are super adorable and careful about everything. Really helpful managing things that weren&'t their duties like working as translators for our transfer drivers, etc. Also we messed up a bit with our booking and they arranged us (11 people) all together in 2 rooms to feel far more comfortable. Wonderful location and extremely comfortable and laid back athmosphere, the spot was extremely inspiring and lovely decoration. The breakfast was tasty and healthy. Definetely, the finest spot we&'ve stayed in our 2 weeks loop on the country. Very well designed and furnished hostel. The property owner is really helpful and friendly. Best location among the train/bus station as well as the old town. Each within 5 mins. The hostel. is cozy, clean and with strong character. * Felinarul Hostel rated 4.62 out of 5 based on 13 customer reviews. 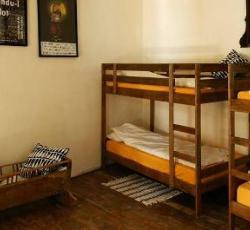 Hostel reviews with a star rating are sourced from HostelBookers. If you find Felinarul Hostel with the same booking conditions at a lower rate somewhere else on the internet after you have booked, we will refund you the total difference.